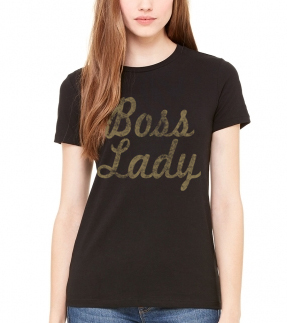 Perfect gift for your boss lady babe! 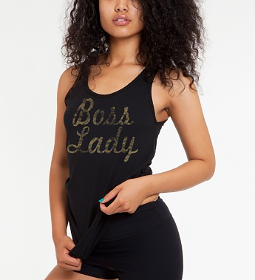 Gold metallic cursive type on a variety of slim fit tank and tee color ways. Only $21.99!